At Porsche Lehigh Valley, we offer competitive financing rates and terms on our great selection of new and used cars, and SUVs. Our finance experts are here to guide you through the financing process and help you get into your new vehicle. Contact Porsche Lehigh Valley’s finance team today or if you’re ready to start the financing process, you can fill out our secure finance application online. You can value your trade online, so you can walk into the dealership ready to purchase or lease your new Porsche. You can apply for financing online, so you can walk into the dealership ready to purchase or lease your new Porsche. Fully staffed and experienced finance team who are knowledgeable about the financing process. 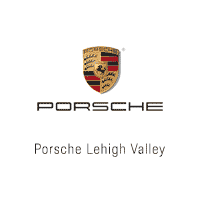 Feel free to contact us with any questions, or stop by Porsche Lehigh Valley to meet with our finance team. We’re ready to help get the financing piece of the puzzle in place, so the only thing left for you to do is to enjoy your new ride.